When my cell phone buzzed at 5:14 am I knew it was time to get up and head to the hospital. Shallon jokingly said she didn’t think her body would dilate quickly, so it would probably take awhile. I’ve learned not to wait, though, so I gathered my things and headed out the door. My phone buzzed again on my way there - Shallon was 2 centimeters dilated. While normally that would give the indication that labor would take awhile, I had a feeling this baby had different plans. 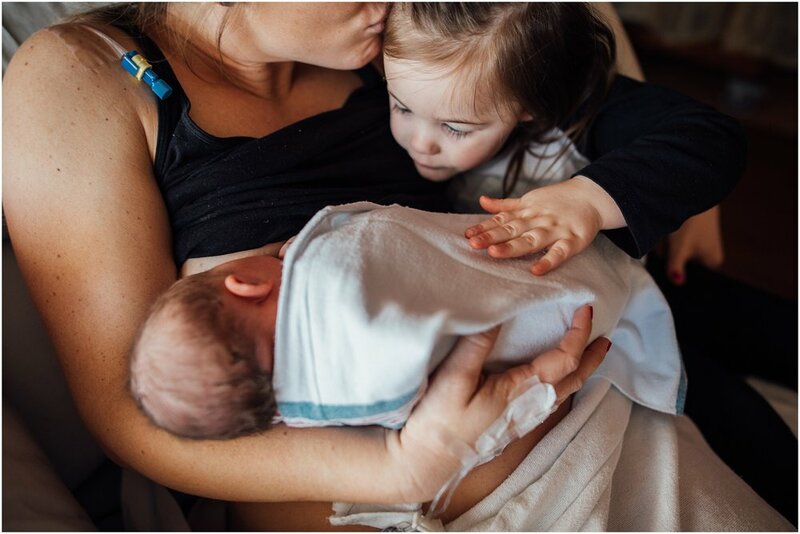 I was honored to photograph the birth of her big sister and when she decided it was time she came quickly, so I imagined this time around may be similar. The early morning of March 26, 2019 was one of those crisp, Spring mornings that gives you hope that warmer days are on their way. The sun would soon be rising without a cloud in the sky. I made my way up to room 468 to find Shallon getting situated by her nurses and Matt watching calmly. Over the next hour we talked about our kids, funny toddler stories, whether they thought Liza would be getting a little brother or sister, and other casual chatter while Shallon breathed through contractions like a champ. 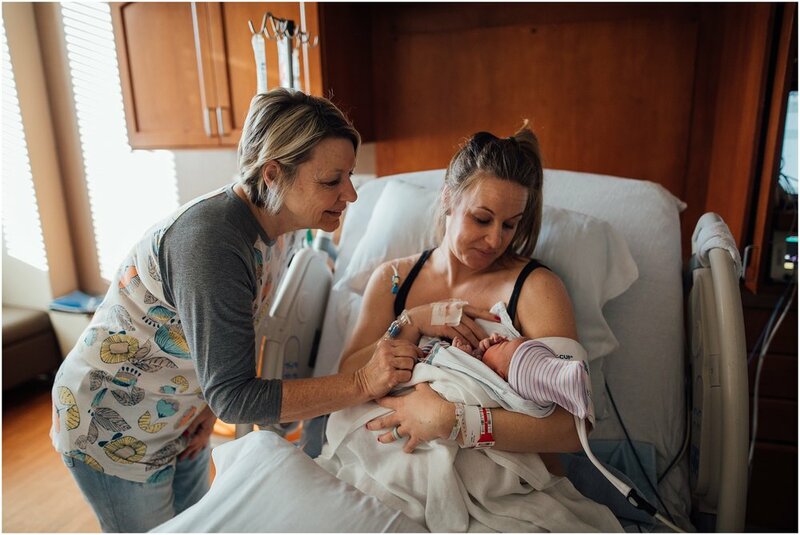 As 7 am neared, Shallon’s contractions started to intensify and grow closer together, making her very uncomfortable and ready for her epidural. Matt and I made our way to the waiting room, and after a few short minutes a nurse ran into the room telling us to come quickly because she didn’t want Matt to miss the baby being born. 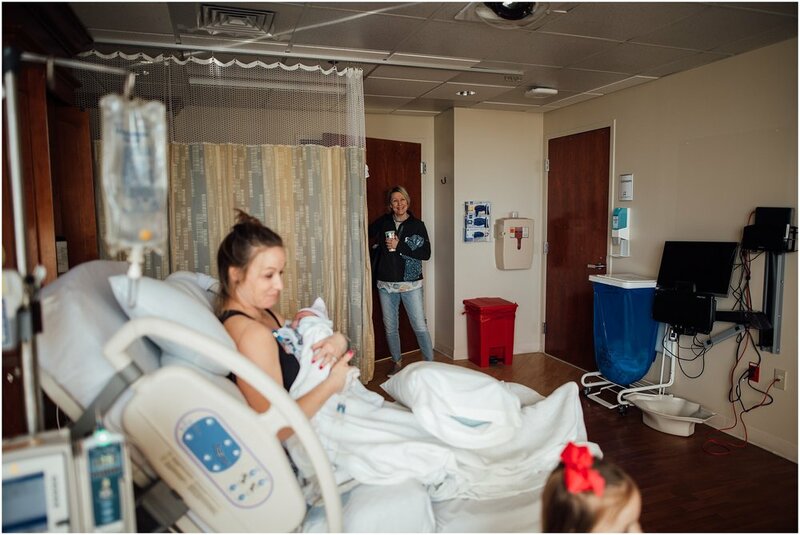 We rushed back into the room to find Shallon in the middle of getting her epidural, nurses rushing around, a doctor hurriedly putting on scrubs and everyone basically in shock that their little baby was making such a quick entrance into the world. It was time for Shallon and Matt to meet him or her. Rozy Grace Pait was born at 7:53 am. Her momma was strong and determined as she brought her into the world. Only a few pushes and just like that, they were a family of four. 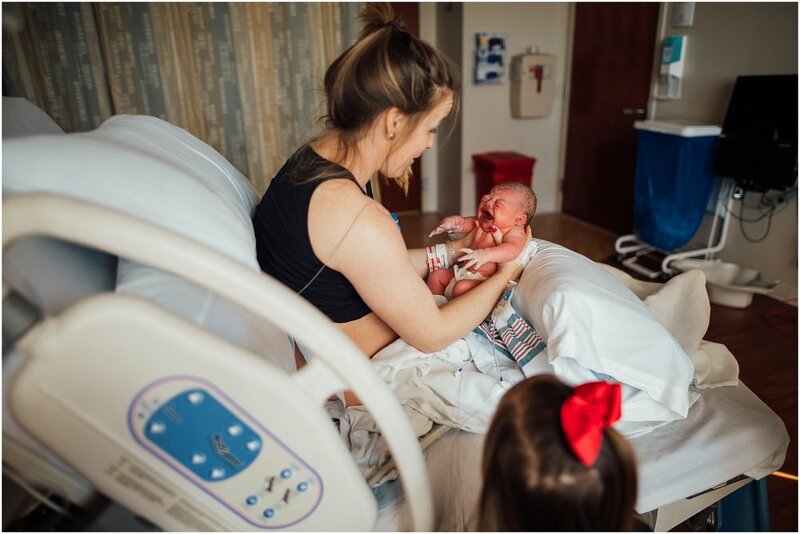 Shallon held her baby close, stroking her little face and talking gently to her while the nurses and doctors checked vitals and cleaned things up. 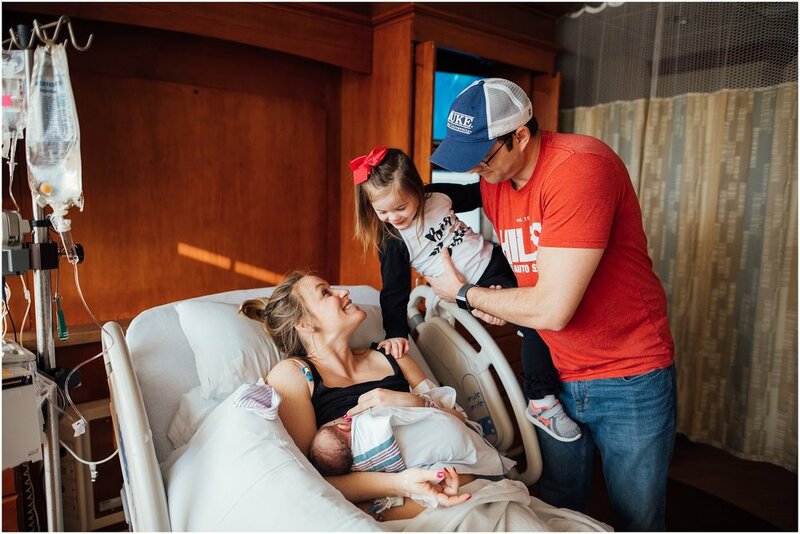 The nurses and doctors seemed to leave just as quickly as they rushed in, and Matt and Shallon were left alone, admiring their brand new baby girl. Soon after, big sister was on her way. 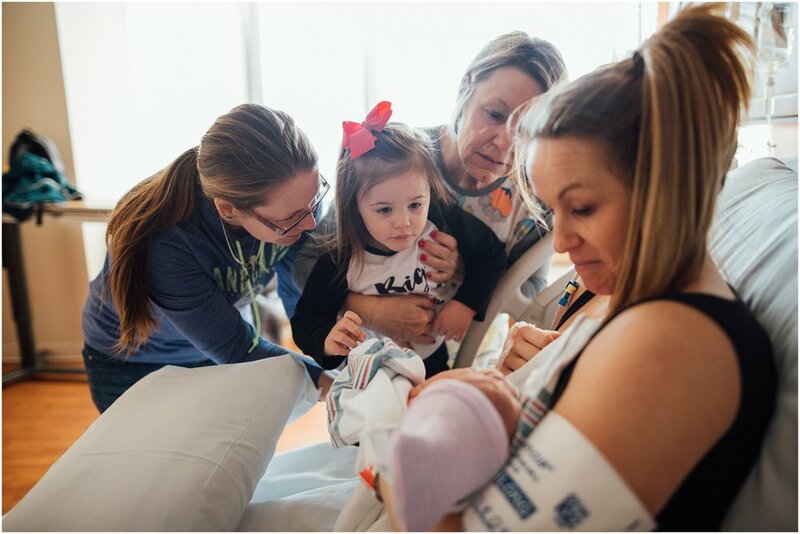 Her face was full of surprise as she looked down at her baby sister, her little mind processing that she now had a sister. It took her a few minutes to warm up and want to sit close to Rozy, but it was obvious that she fell in love immediately. She proudly told her family “it’s a girl and her name is Rozy!” as they came to meet the baby themselves. 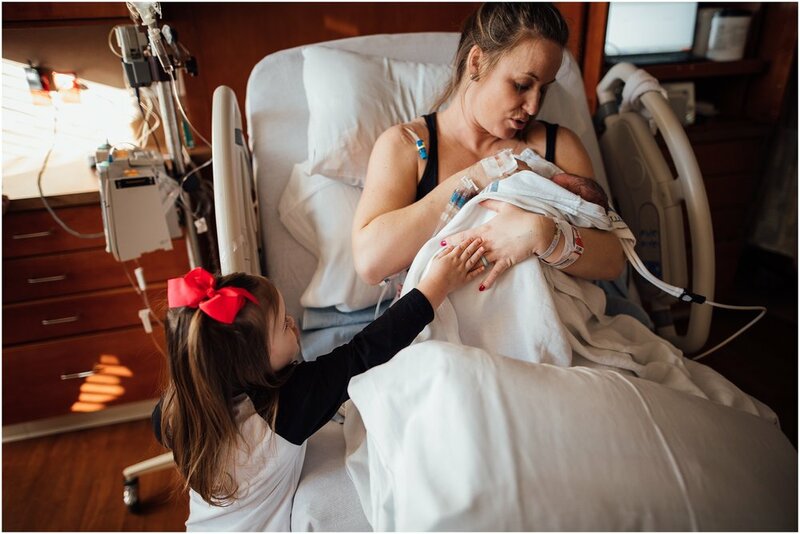 Hearing her little voice saying her baby sister’s name was the sweetest sound in the room. 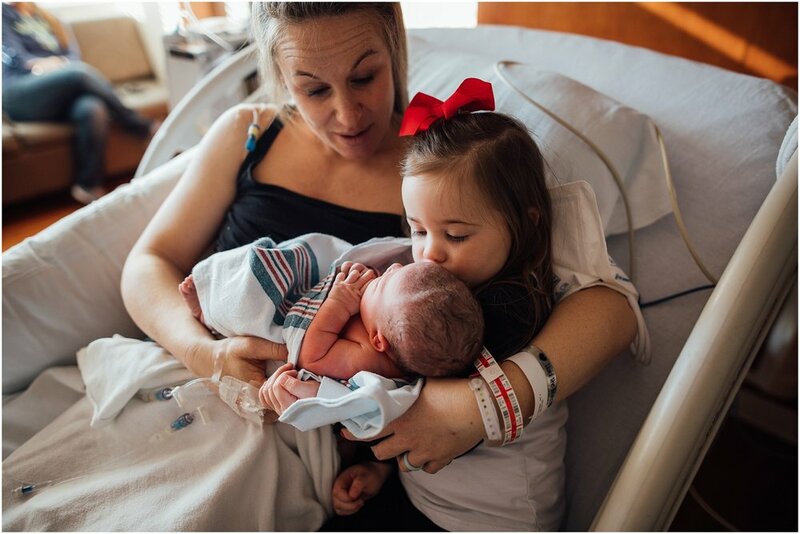 Some moments in our lives completely change our world and how we view it, and the birth of a new baby is definitely one of those. 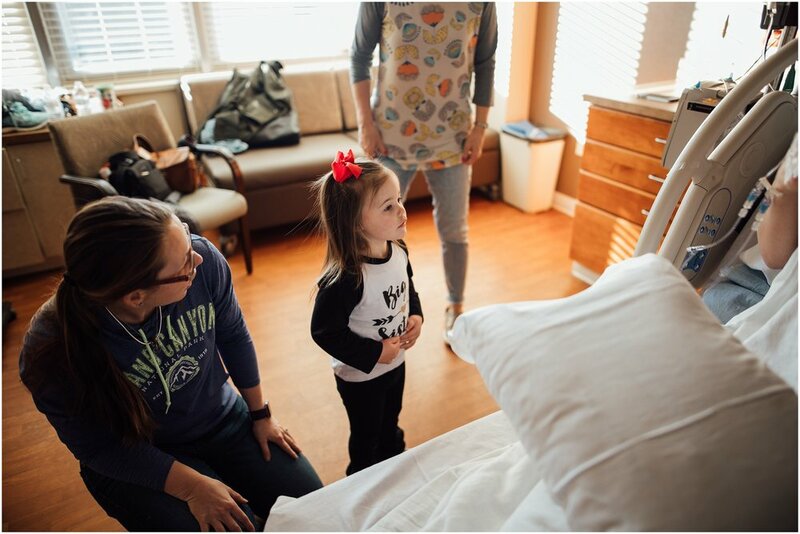 These moments are priceless, and I’m honored every time I have the opportunity to document these precious memories for a family. It reminds me again and again that life is such a gift and that parenthood is one of the greatest blessings of all. Welcome to the world, sweet Rozy Grace! 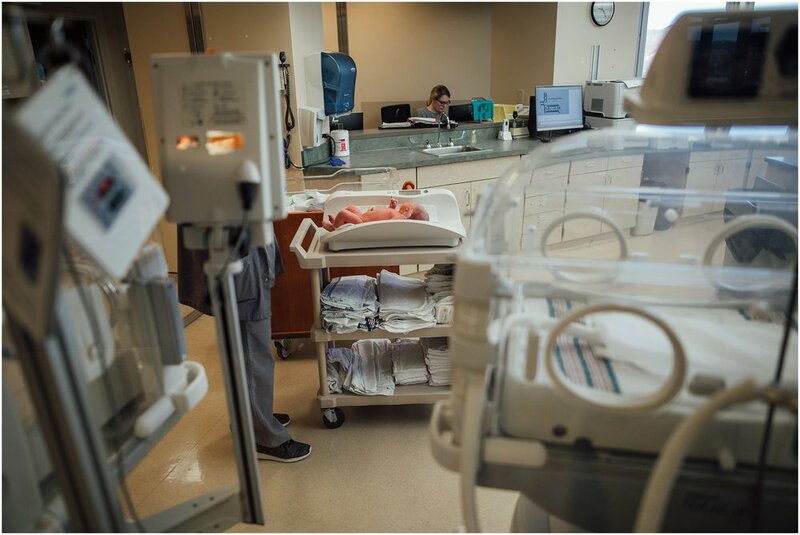 Your family has waited patiently for you and couldn’t be happier you’re here. The world is lucky to have you!